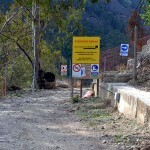 As construction work on the Caminito del Rey is still ongoing, access to entrance is permanently closed. There is a fairly short but VERY steep walk that takes you up to a viewpoint where you can look across and down at the first train bridge and the start of the camino. 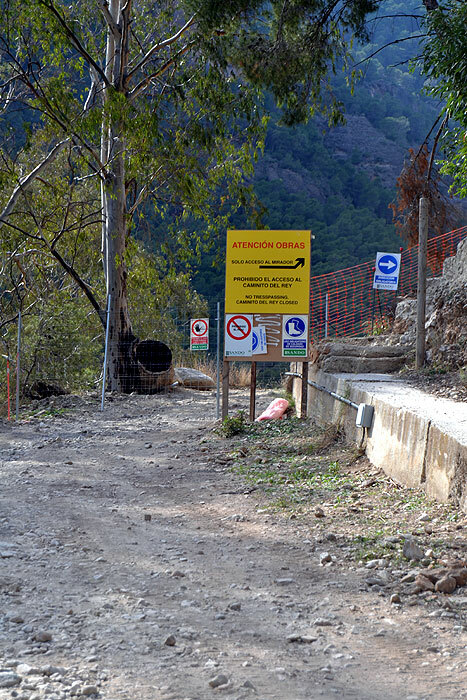 When you arrive in the village of El Chorro follow the road signposted for “Camping El Chorro” (As of now this campsite is closed for restoration works). Go past the campsite on your right and continue for half a kilometre more where you will find a fairly large car park. 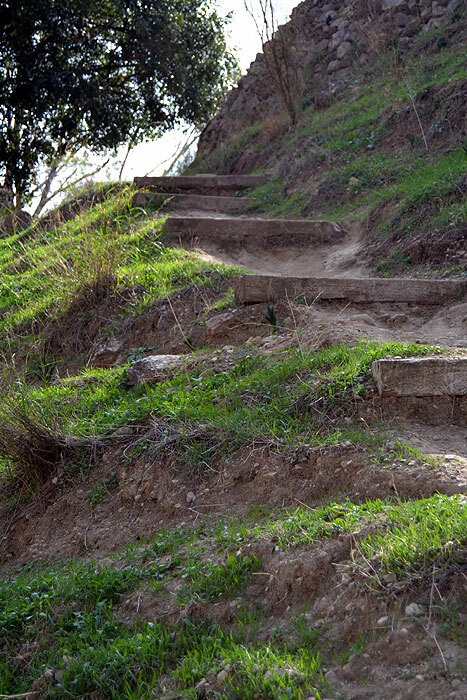 Leave the car and walk up the hill until you come to the no entry notice. 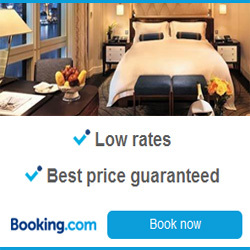 (Image above). From here it is about 30 minutes to the top and the viewpoint. 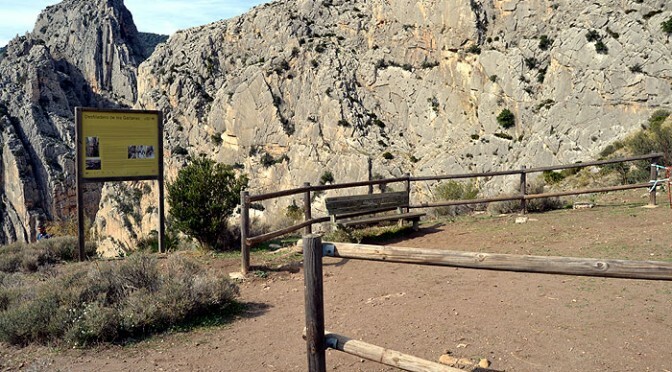 The detour to the viewpoint is then easy to follow from this point but BE WARNED the path is very steep and uneven, It doesn’t seem to be maintained and to be honest you can get much better views of the train bridge and first part of the Camino del Rey from the road below. Park your car at the bar El Pilar and walk along the road for 100 metres and the truly spectacular Cqmino will come into view. 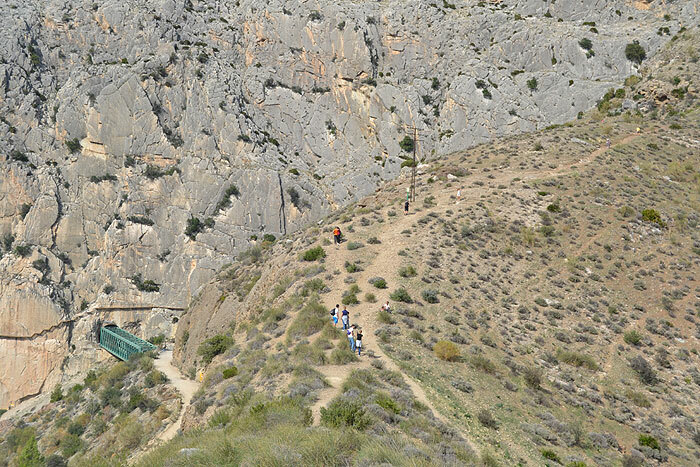 Caminito del Rey – Mirador at the top and the train bridge and new Camino bottom left.